Had this one for over a year now, but realized I had not posted an image. It allowed me to check off one of my TMR Staff Neckerchief needs. Sometimes months go by without seeing one, but this is the several recent acquisitions. Camp Ihpetonga, was part of the Brooklyn Scout Camps at Ten Mile River Scout Camps. It was located on the Delaware side of the camp. It eventually closed after the 1966 Summer Camp Season. Camp Iphetonga was also know as Iphetonga Village. 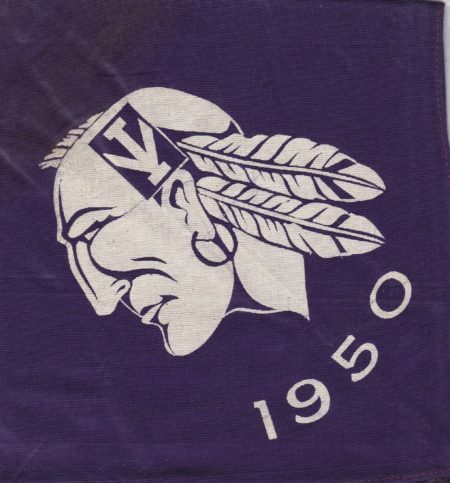 You can see the stylized IV in their designs, since Ippy was Division Four in the old Brooklyn Camps. Let me know if you have any of my needs for trade or sale.